6 for $62.40 total Need more quantities? Many annual forms of Salvia are widely grown for their easy disposition and vivid colors, and these are midsummer staples at every garden center. Our favorites are less well known and offer deep, rich colors that will bring a garden to life. For more information on growing Salvia, click Growing Guide. I'll keep ordering this every year! The first time I ordered this salvia I ordered three. The next year I ordered five. This year I'm ordering more. They grow beautifully large with abundant blossoms that bees, butterflies and hummingbirds LOVE. I used some of them outside in my flower beds and put one in a large pot on my back deck with creeping Jenny at its base. Everyone who visited our home remarked on it. Great flowering plant, but needs wind protection. I have had them crack off at the base when grown in pots. When we planted this, I had no idea what would happen - it is my first experience with this particular salvia. It has bloomed and seems to be flourishing, bigger and better than anything else I planted at the same time. It is a real beauty in my garden. Are You KIDDING ME? What is WRONG with You People? Last year, I ordered Wendy's Wish salvia from White Flower Farms, and I was amazed not only by the plants when they arrived, but also by the care with which they were packed and shipped. Every other online plant vendor I buy from ships the items when it's appropriate to plant them. 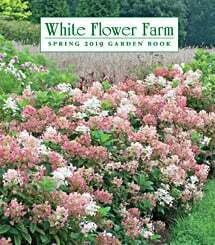 Not White Flower Farms. I received plants a few days after I placed the order - a full three weeks before our frost-free date in zone 6b. They are a third of the size of the plants I received last year. And less carefully packaged. Last year it was like receiving jet-setters from the Concorde. This year it's like receiving half-drowned refugees. I'm so disappointed. I hope my local garden center can stock Wendy's Wish again next year, because I am never ordering from White Flower Farms again. Hummingbirds and Bees love it! Planted five last year. They are strong growers. Tall and wide. Humming birds loved them and honey bees covered them. Plant Salvia in full sun and well-drained soil. (Drainage is especially important in winter.) Cut back hard, to 3–4″ after flowering to keep plants compact and to promote rebloom.